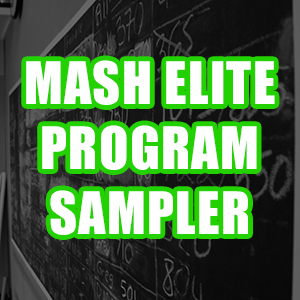 We have used strongman movements in our workouts at Mash Elite for over a decade now. Each year we incorporate the movements more and more. 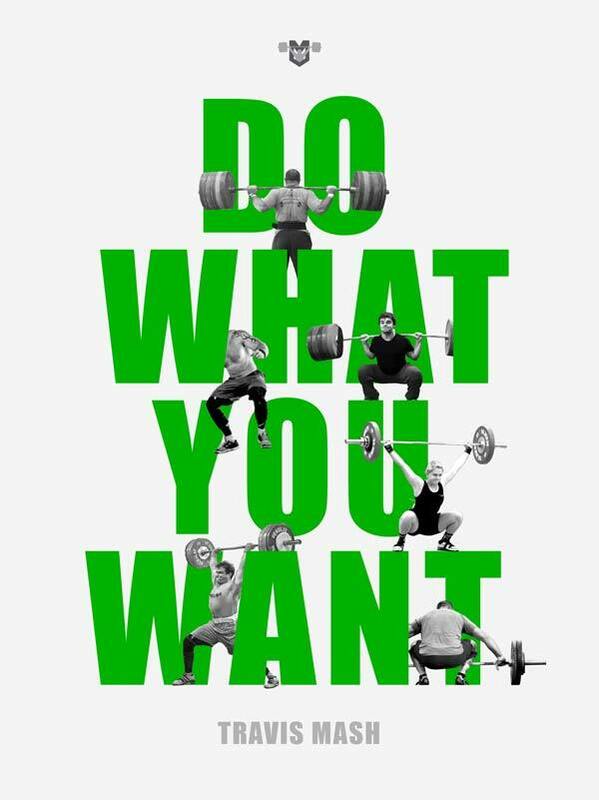 Strongman is a huge part of my latest book Do What You Want. 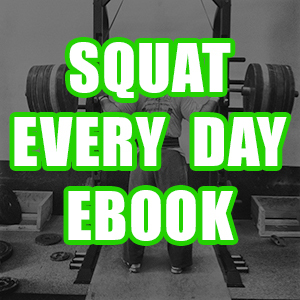 In the book I show how easy it is to make strongman work a core element of just about any workout plan. This article is about the benefits of strongman work. It’s also to explain the “why” behind the movements we use, and I’ll also reveal the ones we leave alone. My favorite reason for using strongman training within my programming is for carries. Carries are the number one way we strengthen the cores of our athletes. I have news for you, sit-ups and crunches are not that great for strengthening the core. The core is every muscle that supports the spine and pelvis. When you are carrying heavy weights for distance, you can be assured that every ounce of your core is being strengthened. Not only is your core being strengthened, but it is also being strengthened in a functional way. What do I mean by “a functional way?” I am talking about strengthening your core in a way that relates to strength sports, overall athleticism, and life in general. Carries strengthens the core with a vertical torso. Carries also strengthen the core while walking and vertical, which is even more functional. The spine is in a healthier position when it is vertical and neutral. The most important position to be in while carrying is vertical and neutral. Unilateral carries are also important. Unilateral carries strengthen the core, while encouraging hip health. The quadratus lumborum lifts the hips up on each side. Unilateral carries are a great way to activate and strengthen these muscles that often become dormant hanging out too much at a desk. 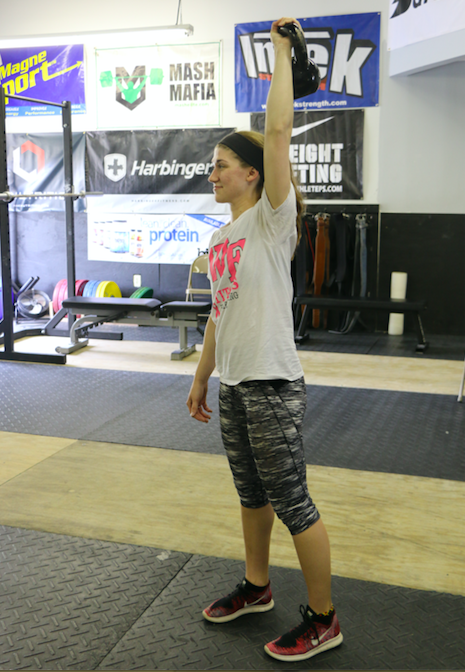 Unilateral carries can really help to stabilize the pelvis while encouraging proper movement. Suitcase deadlifts are a great way to similarly strengthen the core by performing eccentric and concentric contractions. Carries on the other had focus on isometric contractions. It’s wise to always strengthen muscles and joints in a way that incorporates all three contractions. Suitcase deadlifts lead me to the other use of Strongman work. I love movements that can be performed similarly to normal competition or accessory movements. This is the conjugate method at its finest. You can be performing the same plane, 99% a similar movement, and change the implement being lifted, and body will react immediately by trying to adapt to the new stimulus. Also when you are using implements that are slightly awkward, you will incorporate more muscle fibers especially in the core as it tries to balance the body. The throws are amazing for force development and power production. You can perform throws for height and distance. When you throw for distance, you incorporate rotational force. 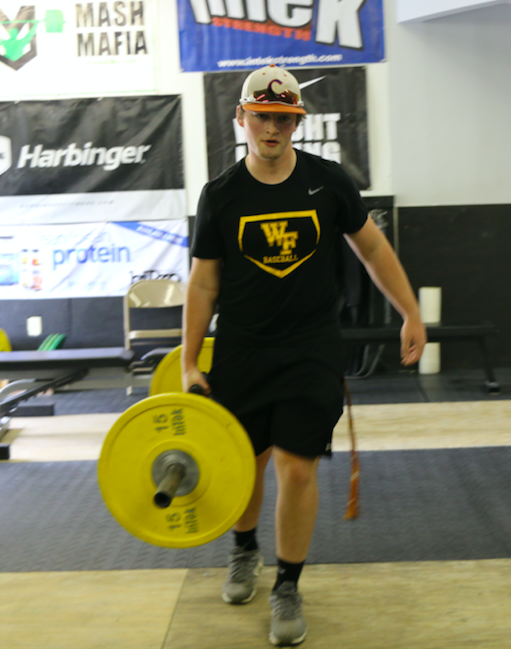 Keg throws for distance are great for rotational athletes like baseball, softball, tennis, and of course throwers. The pushes and pulls are great for conditioning and strengthening without lots of muscular damage. 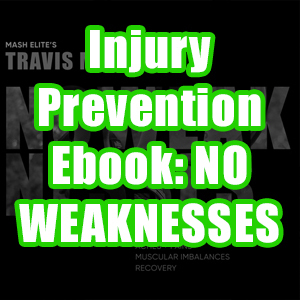 That means you can still recover quickly from these movements mainly because there aren’t any eccentric contractions taking place. There are only a couple of strongman movements I don’t like to use. The first one that we don’t use is the atlas stone. The main reason is because atlas stones force you to pick them up with a flexed spine. There is some debate about the safety of this type of movement, but when it comes to the spine, I am always going to defer to Dr. Stuart McGill. His whole life is dedicated to research regarding the spine and pelvis. His life is also been dedicated to treating some of the highest profile strength athletes in the world. That makes him pretty darn smart. He doesn’t suggest trying to strengthen the spine in a flexed/rounded position. The spine isn’t designed to lift in that position. Some think that it will strengthen the back to protect it when it gets out of position. However, all that lifting with a flexed back gets you is a lack of capacity. When you train in that position, you weaken the back more and more each time. Eventually you destroy all the capacity that the back has to support the spine, and then injury happens. In reality, when you strengthen the spine in a neutral position, you increase the capacity the back has in a flexed position. That’s why we train 98% of the time in a neutral position. The only times we train with a flexed back is during max effort attempts that don’t go as planned. 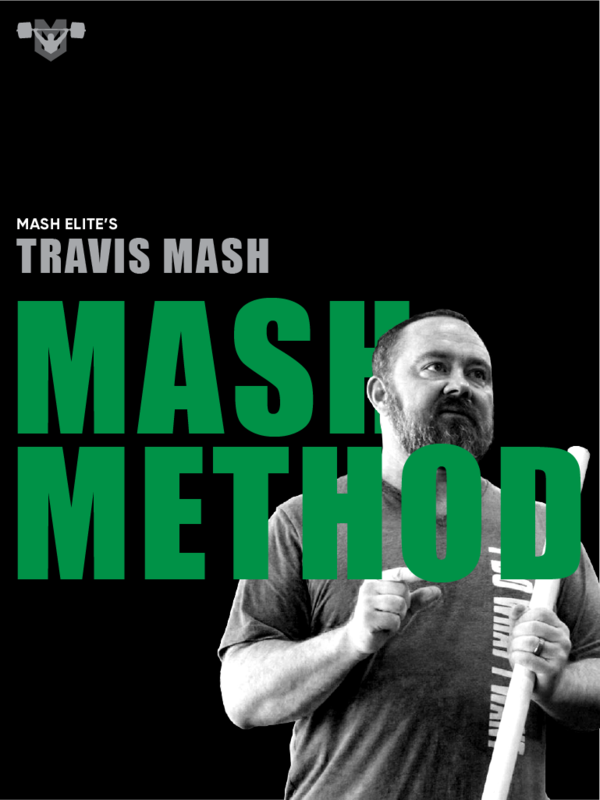 The other movement that we don’t use at Mash Elite is tire flips. Personally I love tire flips, but there is one big problem with performing tire flips. The big problem is that they can cause bicep tears at an alarming rate. I love the triple joint extension that one reaches when performing this lift. They are a lot of fun to perform. 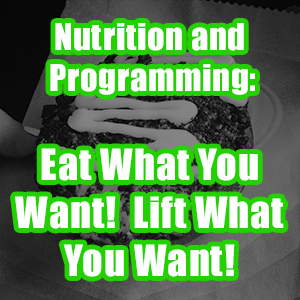 However, the nature of the lift requires you to lift with a supinated grip. A supinated grip automatically recruits the bicep. You can tell yourself to relax the arm all you want, but the minute you supinate your grip the bicep engages. The bicep doesn’t do well with heavy and explosive movements, so the tire flip is a perfect storm for tearing your biceps. There is one more thing that I want to mention about Strongman movements: they are a lot of fun! In a sport like Weightlifting where 80% of your time is spent snatching, clean and jerking, and squatting, athletes love the opportunity to carry or lift something differently. Keeping any type of strength training fun is the key to longevity. Too many people quit right before they get good. They miss the payoff for all their hard work because they got bored. I say give the Strongman movements a try. You will at least have more fun while getting better. Now go carry something heavy!